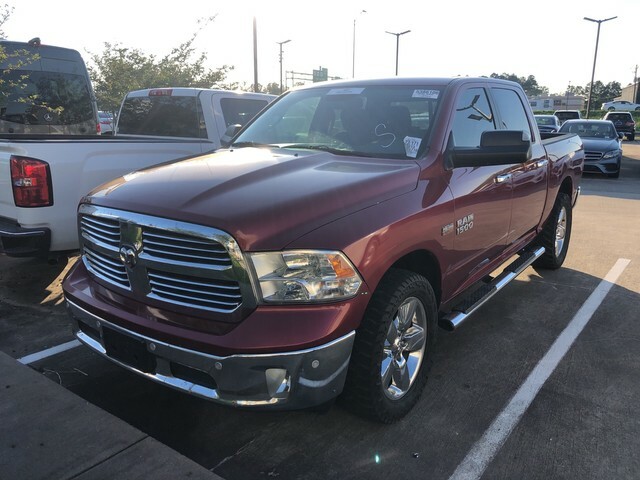 We are excited to offer this 2014 Ram 1500. Your buying risks are reduced thanks to a CARFAX BuyBack Guarantee. This vehicle comes with 4WD for better traction on unstable surfaces, like snow and dirt to give you the edge over anything you might encounter on the road. A truly breathtaking example of pure vehicle design achievement...this is the vehicle of your dreams! More information about the 2014 Ram 1500: The Ram 1500 already offered truck buyers a whole host of reasons to consider it, with power Hemi V8 availability, coilover rear suspension and innovative storage solutions, but with some very effective upgrades in key areas -- namely increased chassis strength, improved base engine power and efficiency and more intuitive interior ergonomics -- the Ram raises the bar for full-size trucks. Strengths of this model include ample available V8 power with improved V6, Multiple model configurations to suit all needs, Ram-Box bed-side storage, increased fuel efficiency, and user-friendly cabins We look forward to seeing you soon! Please call us for more information.